Traction transformer is applied to railway as a power supply for electric power train. Its primary side is connected with two phases of the three-phase power grid; its secondary side connected with the traction busbar and the other side connected with railway track and grounded. The capacity efficiency is high but it causes large negative sequence current hence double circuit power supply is not available. As the unstable traction load, frequent short-circuit failure and large harmonic wave, the operation situation of traction transformer is much more server therefore strong overload withstand ability and short-circuit impulse withstand ability is required for traction transformer. 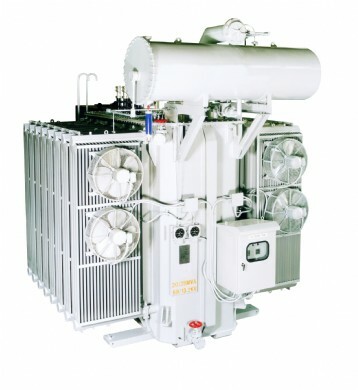 Ø Application: 10kv,11kv, 15kv, 33kv, 35kv,36kv,60kv,66kv,90kv,110kv,132kv, 220kv, 230kv,245kv traction transformer is used in railway and subway/metro.